Where are the rabbis in Israel who care about the prostitutes at Tel Baruch beach? In the final analysis, it is not the political leaders who change the world. Alongside them there are always people who actually mold and form the inner essence, even when they have no official function. Unfortunately, the prophets were not political leaders; rather, they were like bystanders who served as targets for insults. Even the Prophet Isaiah, who was of obvious nobility – as is reflected in his high style, and confirmed by our Sages who say (Tractate Megillah 10b) that he was the king’s cousin – attests (50:6): “I gave my back to the smiters, and my cheeks to them that plucked off the hair; I hid not my face from shame and spitting.” Yet the prophets are remembered much more than most of the kings, and have also had much greater influence both in their own generation and in the times to come. In every generation there are leaders. They may be prophets or philosophers, technicians or scientists, inventors of new contraptions or mass media figures. They are the ones who actually set the course of the world. 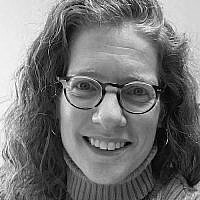 In the past century, the role of the rabbi has undergone a major transformation. The reasons for this are numerous, some of which are economic. However, the fact is that today, the rabbi’s position as a consultant on Halachic matters is not very relevant. How many people actually turn to rabbis with questions about kashrut? Today rabbis are being asked to solve totally different problems: husband-wife or parent-child relationships, and sometimes also faith issues. As such, the rabbi, who is not a trained marriage counselor, psychologist or philosopher, is forced to answer them. Consequently, nowadays rabbis are, unfortunately, dealing mainly with issues for which they have not been properly trained, and rarely are they dealing with those areas for which they did receive the proper training. How can a typical rabbi who married at the age of 19 and has been living with the same wife ever since, truly help someone who is involved in a relationship with his friend’s wife? How many rabbis have actually delved into issues of faith in sufficient depth as to enable them to answer questions on this topic? What, then, is a true Jewish leader? The Torah (Numbers 1:15) calls the leaders “the heads of the thousands of Israel.” This defines their essence. The Torah is thus telling us that a true leader is like a head. The head is the part of the body that knows what is happening in all of the other organs, and feels the pain of each and every one of them. Similarly, the leader is supposed to sense the problems and feel the pains of everyone. 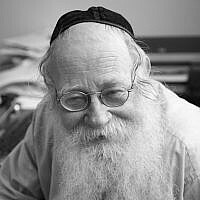 Rabbi Adin Steinsaltz is the founder of Shefa and The Israel Institute for Talmudic Publications. In 2012 he completed his monumental, 45 volume translation of the Talmud into modern Hebrew. The Steinsaltz Talmud has been translated into 29 volumes in French and 5 volumes in Russian. In 2012, the first volume of the “Koren Talmud Bavli” in English with Rabbi Steinsaltz's commentary was published. 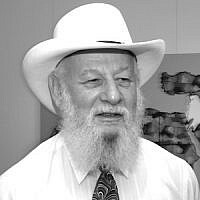 Adin Steinsaltz was awared the Israel Prize, the country’s highest honor, for his educational achievements in opening the Talmud and was was among the first recipients of the Israeli Presidential Award of Distinction, for his contribution to Israeli society and its standing in the world. In 2012, Rabbi Steinsaltz received a National Jewish Book Award for the English Koren Talmud Bavli from the Jewish Book Council (USA). He was also the recipient of the French Order of Arts and Literature.